London's rental market is always in transition, with changing economics, lettings legislation constantly being amended, additional rental requirements being imposed, and it shows absolutely no sign of stopping. Therefore, whatever stage of your landlord journey you are on, it is vital that you build a valuable and lasting relationship with the agent you choose to work with. 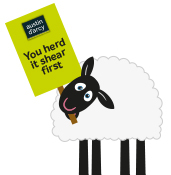 We tailor our service to your individual requirements, so which type of landlord are you? Approximately 40% of the Private Rented Sector is made up of Buy to Let Landlords. Approximately 28% of the Private Rented Sector is made up of Accidental Landlords. Approximately 8% of the Private Rented Sector is made up of Short-Term Landlords. Approximately 8% of the Private Rented Sector is made up of Inherited Landlords. Approximately 2% of the Private Rented Sector is made up of Let-to-Buy Landlords. You are brand new to the rental market and would like to know as much as possible. You already have a rental property or maybe a few, but you still need some assistance along the way. You are an experienced landlord and have a rental portfolio but require help in certain areas. It means having the manpower, systems and processes to hand so that managing a tenancy happens smoothly and effectively. It means having the best maintenance and repair service from our network of trusted contractors. It means having specialist bank accounts and insurances to ensure all client money is protected. It means offering impartial advice before our landlords make any important decisions. It means being legally trained and completely up-to-date with all of the amendments and additions to the lettings law. It means being on hand to act quickly and effectively when a problem arises. It means treating tenants as our clients and ensuring that their experience impacts positively on our landlord's lettings portfolio. And, it means identifying ways to improve our landlord's property and increase their future rental returns. Being a landlord has a lot of responsibility, so if you are unsure of having the time or the know-how, just allow our specialist team take care of everything for you.